Celebrate your special day with friends, family and beautiful mountain scenery. 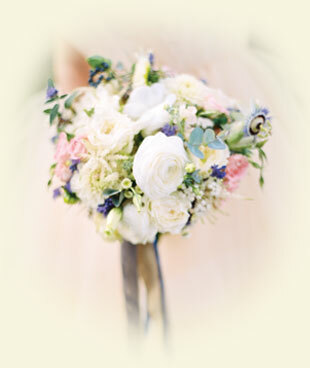 We have a variety of wedding venue locations that can accommodate any size wedding. Plus, we have local professional photographers and event coordinators that can assist with all of the details. Its welcoming atmosphere and breathtakingly beautiful scenery make the County of Bath a great location for any type of event. Serving Bath County since 2007, Cucci’s at the Varsity Italian Restaurant offers a diverse collection of products and services. From chicken parmigiana to full pizzas to sandwiches, Cucci’s at the Varsity is an affordable stop for quick, delicious Italian eats. Catering has never been easier with Cucci’s at the Varsity, with dishes everyone will love. Relax and let us handle the details! Let our resident chef Josh Elliott and our wonderful staff cater your next event. We offer on-site and carry-out menus for every occasion from cocktail parties to elegant dinners, picnics to receptions. Southern Inn Catering prides itself on premier catering and event management. Southern Inn Catering uses fresh and local ingredients including beef, chicken, and produce. Our experienced event planners will guide you from start to finish in the planning and implementation of your event. Let The Waterwheel Restaurant at The Inn at Gristmill Square cater your next event. From a small cocktail reception to weddings or rehearsal dinners. The Waterwheel Restaurant is ready to work with you on your menu needs. We can do catering onsite in our banquet room or one of our outdoor venues, or we will travel to your home or event location. We can arrange the complete menu for your event, suggest local florists, and handle all the rentals needed to pull off the most spectacular occasion. Mountain Laurel Creations is a local, neighborhood florist in County of Bath that provides beautiful flower arrangements, friendly service and customized orders for every occasion. Whether you need an elegant array of roses or a center piece for a summer dinner party, let Mountain laurel Creations stylize your next flower arrangement. With an online flower shop and same day flower delivery, Mountain Laurel Creations makes ordering your flower bouquet convenient and fun. When you apply for your license, you’ll not only need a proof of identification and age, but you’ll need to apply for the certificate together. You will need to provide any information about previous marriages, and will need to pay a nominal fee. Couples will receive their marriage license which must be given to their minister or to the Celebrant performing the ceremony. Your wedding Celebrant must be licensed by the Commonwealth of Virginia, if a civil wedding is being performed. As a native of the Allegheny Highlands, the owner of Cristie & Co. Photography has an eye for capturing beauty, whether it’s the surrounding, scenic landscape or special occasions and events. With over 18 years of experience, Cristie & Co. specializes in keeping memories alive through the art of photography and capturing personality within each shot. Cristie & Co. caters to each client’s needs individually and is the perfect place for your photography needs. Emily Plecker Photography is a portrait photography service that specializes in high quality photos such as weddings, engagement and family portraits. Emily Plecker Photography delivers a relaxed experience for clients to create images that portray them as their unique selves. Owner and photographer, Emily Plecker, learned her practice at the critically acclaimed Hollins University, alma mater of many famous photographers including Sally Mann. Emily is a destination photographer. Specializing in portraits, weddings, maternity, and editorial photography. The Recorder’s photographer. Whether you are looking for whiskey barrels, a water trough, wall hangings, or antique window frames, we offer a variety of Shabby Chic and Country themed props to enhance the romance of your wedding or the theme of your special event. 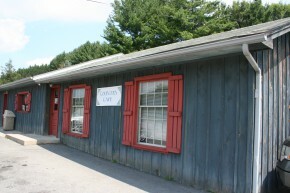 Country Café offers a separate dining area for rehearsal dinners, wedding receptions, family reunions, retirement dinners and all other special occasions. A full banquet menu including both buffet and plated service is available. Whether staying for a weekend in one of the beautiful, rustic cabins or pitching a tent on one of the inviting campsites in the park, Douthat State Park is a captivating, historic location that can serve as a great spot to host your next big event. This park features some of Virginia’s most outstanding scenery, as well as a 50 acre lake that offers swimming, boating, and seasonal trout fishing and guests can explore the wildlife through walking trails on almost 4,500 acres of Douthat State Park. It’s an ideal outdoor spot for any occasion. Tucked in an untouched valley, Fort Lewis Lodge & Farm is an intimate country hideaway set on a 3,365-acre estate in the mountains of Virginia. 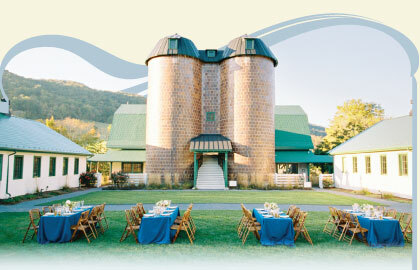 With three miles of private river frontage, blooming gardens, and rolling meadows in all directions, there is no place more picturesque to say “I do.” Our venue features a striking outdoor Pavilion with sweeping church-like beams overhead and stunning mountain views and an onsite restaurant to meet all of your catering needs. Our twenty-one distinctive accommodations offer a unique opportunity for your guests to stay onsite and enjoy private access to our endless selection of outdoor activities throughout the weekend. 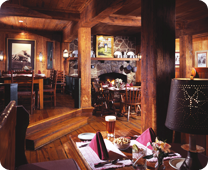 The lodge can accommodate up to 60 overnight guests and receptions up to 150. Discover your happily ever after! The Garth Newel Music Center sits amid a breathtaking mountain setting perfect for any wedding, reception or special event. Our staff happily works with you to create your memorable vent. Built by the American artist, William Sergeant Kendall and his young wife Christine Herter Kendall in the 1920’s, the Center’s two historic structures and spectacular vista create an atmosphere of a visit to a country estate. Come join us in this unforgettable and uniquely lovely setting for your special occasion. Discover your Once Upon a Time at Garth Newel. Come discover the absolute beauty, charm and romantic enchantment of the Inn and the tranquility of its surroundings. The accommodations available to guests are superior in every sense of the word. Large, comfortable rooms, beautifully decorated and furnished await you. 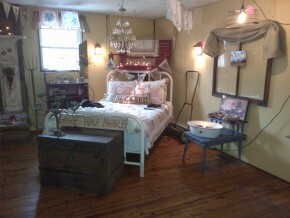 A stay at Hot Springs Victorian Inn is a relaxing escape from the every day demands of life. A private Honeymoon cottage is available on property as well. The Honeymoon Cottage is pet friendly with a fenced in yard. Ingalls Field is the highest public use airport east of the Mississippi providing the adventurous bride and groom with a unique wedding venue. Ringed by the Allegheny Mountains, Ingalls Field provides a breathtaking and awe inspiring wedding location for any couple. You have said “Yes” to the most important question you may ever answer and now you are marrying your best friend. Your dream is to have a wedding that reflects your love of the out-of-doors. If it is a rustic, country setting you envision, let Mont Shenandoah host your event. Surrounded by the George Washington National forest and nestled in the Virginia’s Western Highlands, Mont Shenandoah offers 60 acres of fields, woods with a hiking trail and water front access to the pristine mountain river known as the Cowpasture. During the summer months we are a successful and highly regarded girls’ camp; the rest of the year we are an ideal setting for a wedding, bridal shower or engagement party event. Founded in 1927, this unique property offers rustic charm with modern amenities designed to help make your day special. The dining hall has a full commercial kitchen, tables and benches and a large wrap-around covered porch with views of the river. West Lodge is ideal for your indoor ceremony, reception or party with its huge dance floor, full stage and new sound system. We also offer a variety of lodging options for you, your bridal party and your guests. Imagine your wedding taking place along the pristine banks of the Cowpasture River, or in a huge tent on the grounds. The Camp is reserved for you and your wedding or party event, and unlike hotels or other venues, your event is the only event taking place on property that day. Let us show you how the rustic charm and the natural beauty of Mont Shenandoah can make your wedding dreams come true. 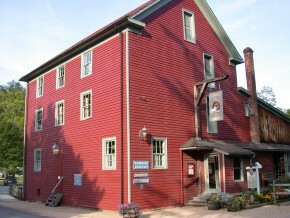 Located in the heart of picturesque village of Warm Springs, The Inn at Gristmill Square is a unique bed and breakfast which offers an escape from the rush and noise of everyday life. The Inn at Gristmill Square resembles a small 19th Century mountain village with welcomed elements of the modern world. These unusual characteristics put a twist on the traditional inn stay and make special occasions at this venue far from ordinary. Perfect for a wedding or wedding reception, family reunion or retreat, the welcoming, homey atmosphere of the Inn at Gristmill Square will charm all visitors. Take a deep breath of crisp mountain air and your soul will instantly begin to relax at the Warm Springs Inn in Bath County. 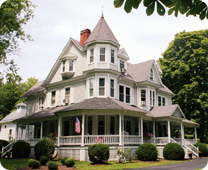 Not your typical bed and breakfast, Warm Springs Inn offers an eclectic style in an historical setting. Fifteen sleeping quarters offers guests intimate and unique accommodations at affordable prices. All rooms are located within three separate buildings, two of which have wraparound porches which offer a delightful place to relax during your stay. For your next special occasion, let Warm Springs Inn create a memorable experience for you and your guests. This circa 1928 commercial dairy once served all the dairy needs of the historical Homestead. 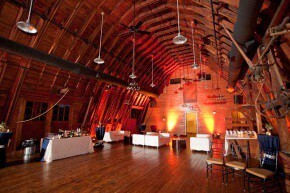 After a meticulous restoration the several original buildings and two silos are now a community center with recreational facilities and meeting space ideal for weddings, parties or corporate retreats. 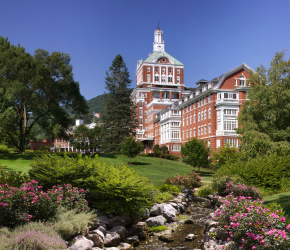 Immerse yourself in the beauty of The Omni Homestead Resort, Virginia’s finest mountain resort surrounded by four-season splendor of the Allegheny Mountains. The Omni Homestead provides unequaled hospitality, elegant accommodations and distinctive Southern charm in the idyllic Virginia setting. Rich traditions and historic ambience make The Omni Homestead the premier resort for all of your vacation needs, as well as any special occasions, weddings or conferences. The Omni Homestead caters events grand and small with a wide selection of venues ideal for weddings, conference meetings, receptions and other special events (indoors and outdoors). 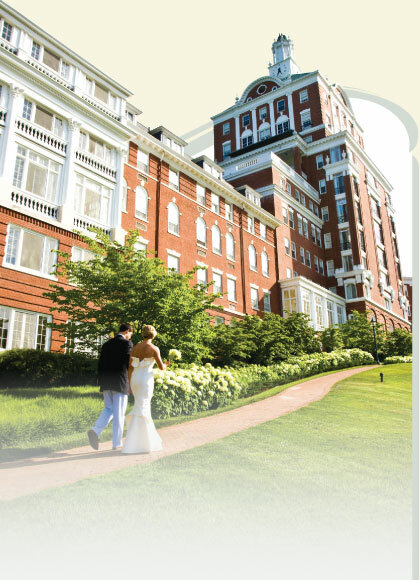 The Omni Homestead Resort is sure to take care of your planning needs with care and elegance. Vine Cottage Inn is a unique bed and breakfast with a truly welcoming country feel and is located on Sam Snead Highway in the village of Hot Springs. Vine Cottage Inn is positioned one block from The Omni Homestead. Vine Cottage Inn guests can benefit from many of the amenities The Omni Homestead Resort offers while staying in an affordable, comfortable environment. Vine Cottage Inn has been a lodging establishment since 1905 and offers an array of romantic rooms. All stays include a full fixed menu breakfast for each guest. The Inn dining room is a delightful location for a small rehearsal dinner or bridal luncheon. 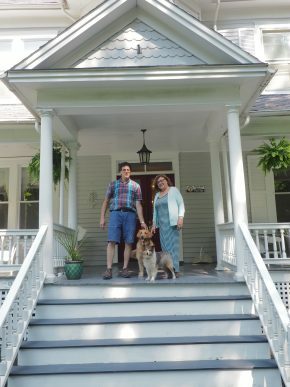 Vine Cottage Inn is the perfect location for small family reunions or other special occasions. Husband and wife team Chris and Kelly Whiddon are local videographers with a passion for filmmaking. Filming every wedding together, they create a work of art that be enjoyed for years to come. The timeless elegance of this unique wedding venue is rivaled only by the southern hospitality and attention to detail with which each and every event is approached. With 72,000 square feet of flexible event space, including two ballrooms plus the Casino Lawn, you will find the perfect space for your fairy-tale wedding. Plush accommodations, multiple dining options, and a wide variety of on-site activities make The Omni Homestead Resort ideal for an extended weekend celebration and a true vacation experience for family and friends. Every couple is unique and every wedding requires a fresh approach to ensure that your once-in-a-lifetime event is a true reflection of you. A team of hospitality professionals stand ready to assist you in the planning and execution of what will surely be a memorable event and will be your primary contact for your special day. With its expansive arched windows, grand staircase, towering Greek columns, and glittering chandeliers, the Crystal Room is the most popular setting for memorable wedding celebrations. Understated elegance distinguishes the Grand Ballroom, which was built in 2001, but features many of the architectural details from the original hotel, including 22-foot coffered ceilings, pendant lights, and an ample dance floor. Memorable summer weddings begin on the Casino Lawn. Nestled between the east and west wings of the hotel and poised directly under the iconic Homestead tower, the Casino Lawn accommodates intimate gatherings or grand affairs with equal ease. Make a grand entrance from the sweeping staircase across the meticulously manicured grounds, and exchange your vows under the crescent-shaped pergola with the Allegheny Mountains as your witness. 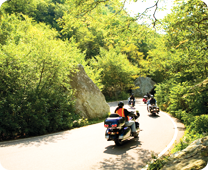 For centuries, the County of Bath’s picturesque mountain region has remained untouched by time; a defining characteristic traceable to the area’s many historical landmarks. For those of you planning a wedding, Natural Retreats offers a variety of breath-taking locations, luxurious accommodations as well as a personal concierge to help with any and all details for your very special day. We want to ensure that every part of your wedding is tailored to you; helping to create that perfect experience along with memories that will stay with you forever. Our locations include The Old Dairy located in the village of Warm Springs. The Old Dairy is a stunning, unique wedding venue at the Homestead Preserve. Built in 1928 and restored in 2007, The Dairy was once the sole dairy farm serving the local community and the historic Homestead Resort for more than 40 years. Each of our venues offers a variety of both indoor and outdoor settings. Please visit us: concierge@naturalretreats.com or call 540-839-6455 or 877-805-7794 for more information.